Kirsten Tan is a four-time Silver Screen Award nominee and winner of Best Southeast Asian Short Film for Dahdi, Best Director for Fonzi, and Special Jury Prize for 10 Minutes Later at the Singapore International Film Festival. Her collected works have been screened in over fifty film festivals, including Toronto International Film Festival, International Film Festival Rotterdam, Busan International Film Festival and MoMA, NYC. 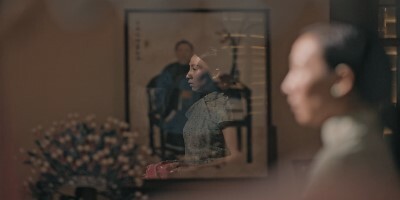 Her debut feature film, POP AYE, won multiple awards, including the World Cinema Dramatic Special Jury Award for Screenwriting at the Sundance Film Festival, the VPRO Big Screen Award at the International Film Festival Rotterdam, the Jury Prize at the Bangkok ASEAN Film Festival, the FIPRESCI Prize at the NETIA OFF CAMERA International Film Festival 2017 in Poland, and the prestigious Golden Eye for Best Film in the international feature film competition at the Zurich Film Festival.